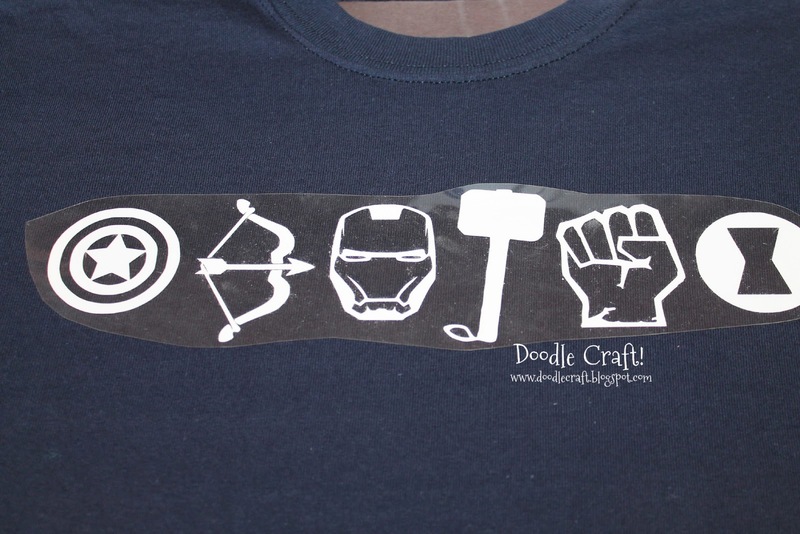 Doodlecraft: The AVENGERS T-shirt and Stencil! 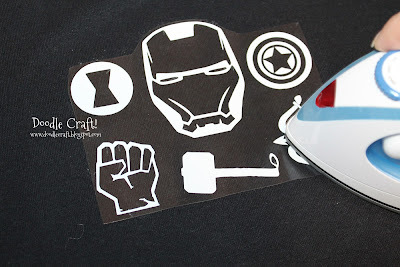 The AVENGERS T-shirt and Stencil! At my house...everyone likes someone different...except me. 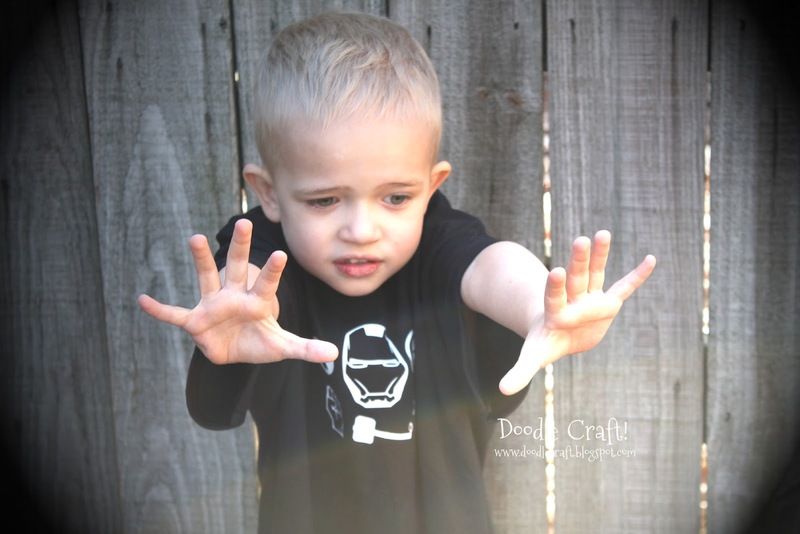 My 4 year old son loves Iron Man, and he's my fav too...but because he is my son's favorite...he has asked that I like Captain America instead. How can I resist? Here's an image you can use for personal use...right click to save off. throw the file into your software and tell it to cut it out! I've got the silhouette, so here's how I did it. I feel awesome about this one. Feel free to comment on my awesomeness! I used my silhouette. Dropped the saved off files into silhouette studio. Use the trace tool to select the image...adjust the levels and trace outer edge. Then tell it to cut! 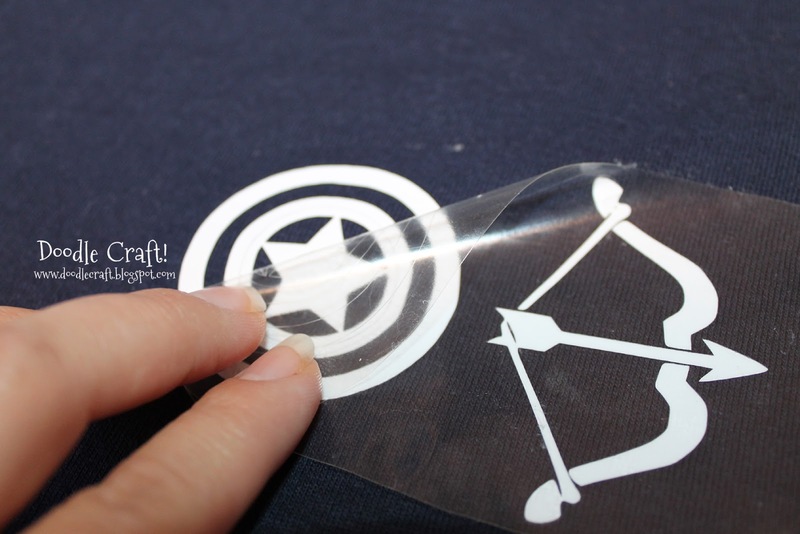 I used white Heat Transfer Vinyl. 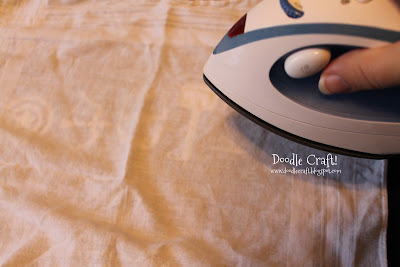 I use the tip of the iron and make sure I get all the intricate parts! Peel back carefully, double checking that all the edges are ironed down! Then SMILE! Because you have an awesome shirt!!! 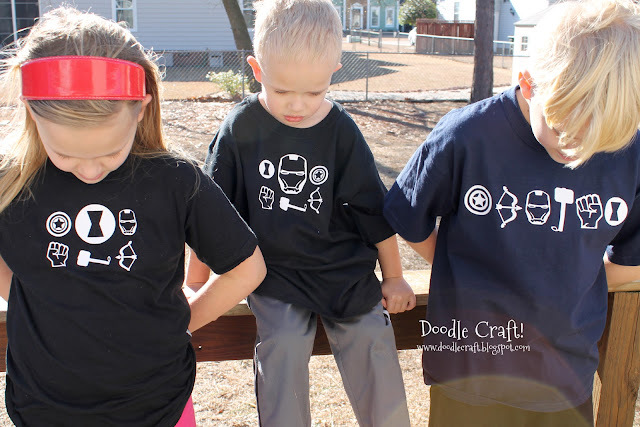 I got all these shirts at the dollar store! Cheap is my middle name! It wasn't too bright...they were stunned with the amazingness of the shirts! 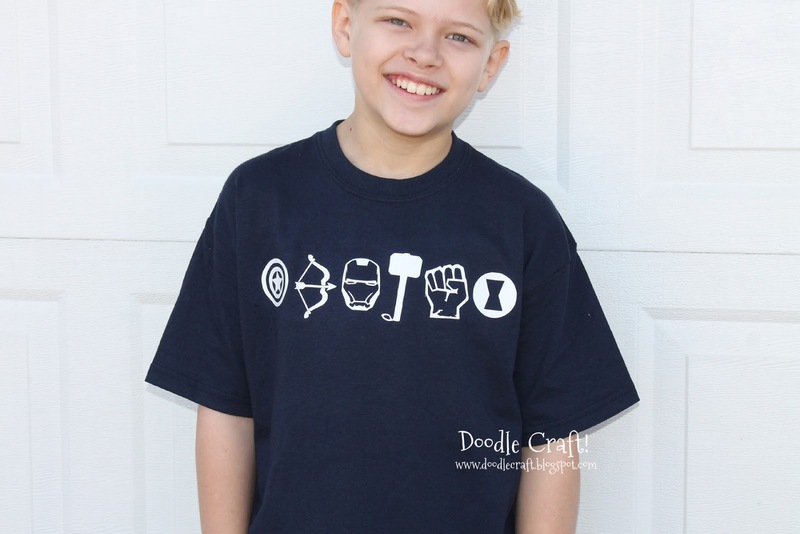 Okay, so I worked up this series of icons/stencils. With the "favorite" in the center, slightly larger than the others! Right click to save off the image...for personal use. I love it!!! So creative! How does it hold up to washing? That's always my concern with transfers! Those are so fun! I love that you made them for the whole family! And I am impressed with all that detail work!!! 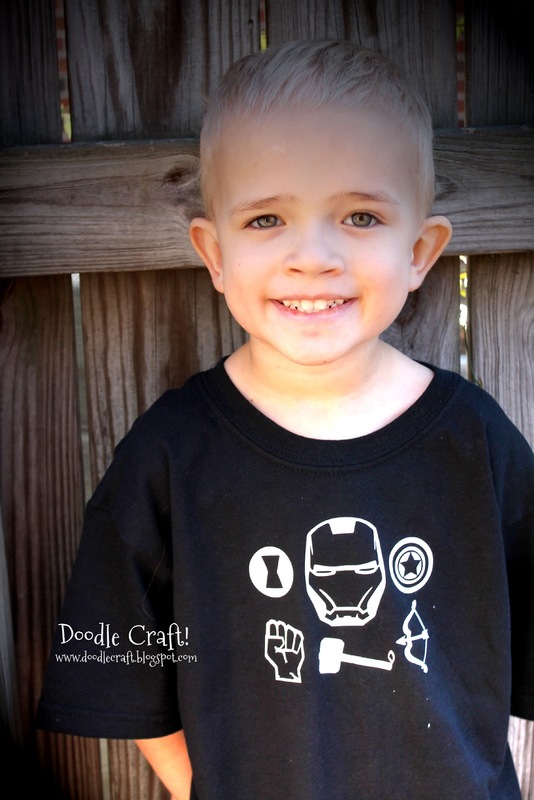 wow,good job,you are great,It looks very so cute,I like The Avengers t shirt. This is a wonderful idea! I am going to borrow it for Nevada Reading Week this year! I run daily activities for the middle schoolers I work with, and this fits perfectly with the theme, Got Books? 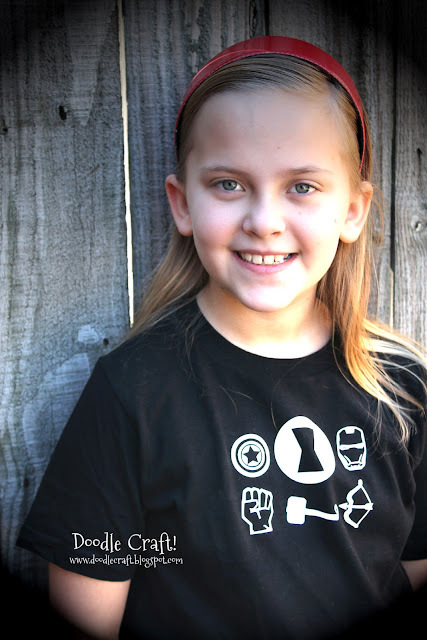 Be a Superhero...READ!". I'll share pics of the kids working on it. Thanks!